It's the First Day of Christmas! Can't believe it's coming so fast. I'm doing a 12 Days of Christmas Project on G+ so decided to share on the Blog as well. 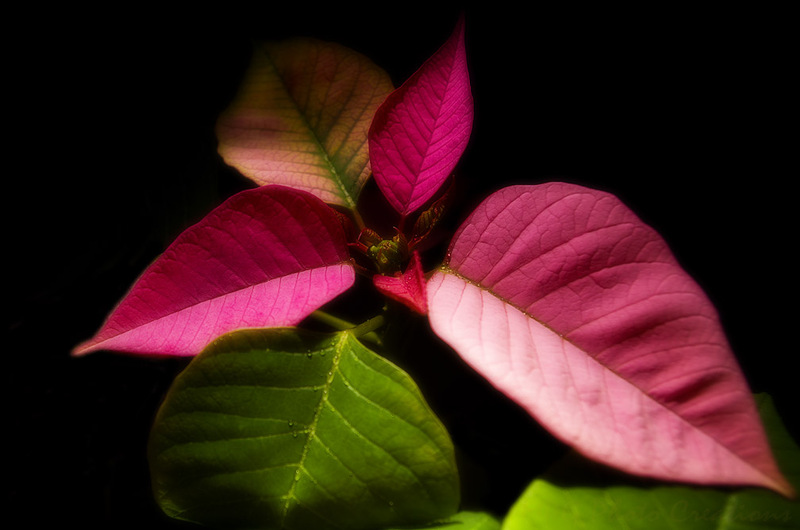 This is an image of my Poinsettia that is turning back red. It sits in a south window and must enjoy itself because I have done nothing to it other than water it and it's the first time I ever had one turn back red.